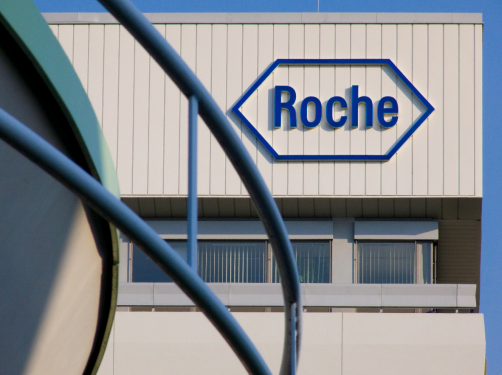 Roche has unveiled new Phase 3 data for its cancer immunotherapy Tecentriq (atezolizumab) in combination with carboplatin and etoposide chemotherapy as a first-line treatment for previously-untreated extensive-stage small cell lung cancer (ES-SCLC), showing “significantly” improved rates of overall survival (OS) compared to chemotherapy alone. Specifically, Roche’s combo extended OS by 12.3 months compared to 10.3 months with chemotherapy alone, while also improving progression-free survival by 5.2 months compared to 4.3 months. The combo’s safety profile was found to be consistent with previous investigations. 56.6% of patients reported adverse events of grade 3 or 4 compared to 56.1% of those receiving chemotherapy alone.